Whoever said teletext was a peculiarly British thing? 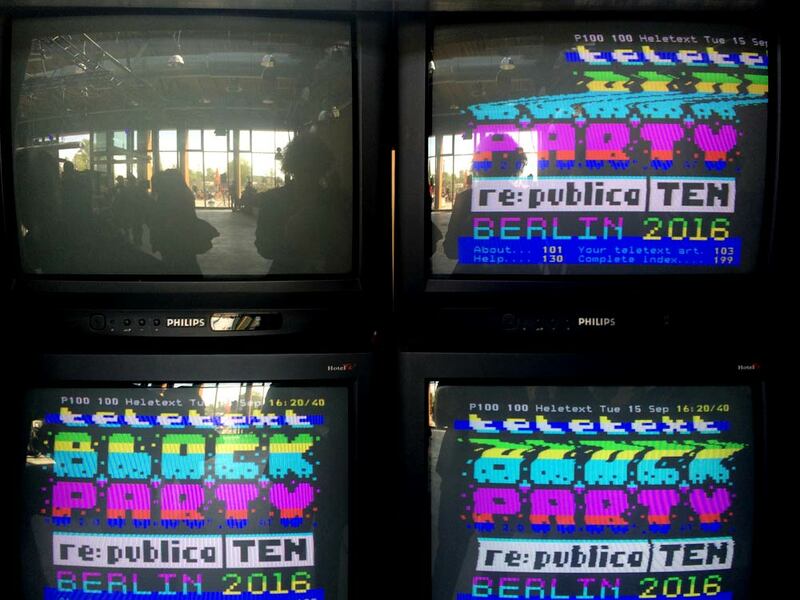 Certainly not the enthusiastic fans I spoke to at Block Party Berlin earlier this month. Alright, I’ll admit it was I that suggested the medium is only ‘understood’ by people here in the UK. But I was wrong, for Europe has an even greater appetite, were that even possible, for Videotext. For proof, see my Block Party article at Transdiffusion. I promise it isn’t too long! And if you did indeed want a lengthier read… you can, er, go through it twice… I guess.